The Ministry of Transport is working on a draft to revise the 2005 Railway Law, which is expected to devote a separate chapter to provide for development policies, general requirements, construction investment, management, maintenance, commercial operation, and safety management of high-speed railways. 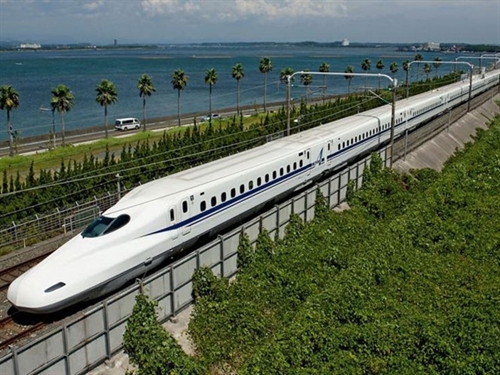 Under the draft, high-speed railway is defined as a railway designed with a minimum speed of 160 kilometers per hour. High-speed railways would be synchronous, modern and safe while ensuring natural disaster prevention and control and environmental protection. At the same time, high-speed railway facilities and equipment should meet technical requirements and requirements on fire and explosion prevention and control and salvage and rescue as well. Their safety corridors must be strictly protected and accessible for the disabled and elderly. The traction power supply system must be controlled and monitored in a centralized manner and have standby capacity in order not to interrupt train operation, while adequate and clear instructions for customers in both Vietnamese and English are required. The draft also asks for safety certification for both newly-built and upgraded high-speed railways before they are put into operation. Businesses dealing in high-speed railways must establish and maintain safety management systems as prescribed by the Government. According to the draft, the National Assembly has the competence to decide on investment policy on, the Government will approve and direct, while the Ministry of Transport is responsible for, construction of high-speed railways.